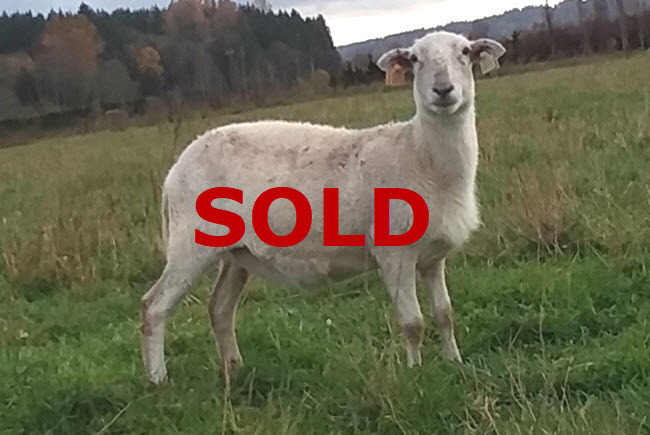 This is a very well-built white ewe with a classic Katahdin frame. She has positive growth and solid prolificacy scores, but is somewhat weak on milk. She will make a very solid producer and will likely have lots of twins and triplets over her lifetime. EBVs from 2018 lamb crop 120 day weight data. Photo taken November 2018. Lambing record starting as a two-year-old: 2/2. She is bred to KMC7018, due to lamb in April.